Bryan Patterson, Sam Krueger, Patrick Franklin and Patrick Shea - From Left to Right. Frank Depictions is a Boston-based production company owned and operated by Patrick Franklin. We make films, web-series, sketch comedy, and commercials. Our short film WAIT FOR LAUGH premiered at the 2018 Palm Springs International ShortFest and continues its festival run around the world. By day, Patrick Franklin is a Sr. Copywriter at the Arnold Ad Agency in Boston where he's written commercials for Progressive, Monster, Ocean Spray, and more. To see his portfolio of work, click here. Patrick Shea was born on October 7, 1946 in New York City, New York, USA. He is an actor, known for Mystic River (2003), Gone Baby Gone (2007) and The Invention of Lying(2009). Sam Krueger is known for his work on The Equalizer (2014), Inside Job (2010) and Orchard House: Home of Little Women (2018). AMIE LYTLE loves her career as an actor because she's passionate about telling stories and making people laugh. After a wonderful childhood spent in upstate NY, she went on to study Theater and English at Muhlenberg College. Amie moved to NYC in 2009 to attend the Actors Studio Drama School, experience the theater scene and meet her best friends. Living in NYC was a dream but Amie realized she was a true New Englander at heart after working on the Cape in the summer of 2012. She now acts in plays and teaches yoga on Cape Cod and in Boston. She currently lives in Braintree with her wonderful husband Brian, their daughter Caroline and their dogs, Lou and Gus (@rescuelouANDgus). PHILANA MIA is an actress and writer, known for Wait for Laugh (2018), Whaling City (2011) and Dangerous Crosswinds (2005). Raised in Texas, Tim has been living in the New England area for the last 15 years and currently is based in Somerville, MA. He trained as an actor at Boston University School of Theatre where he received his BFA in 2006. After a brief stint in the concrete jungle of New York City, he returned to Boston where he worked as the Production Manager for Boston University’s School of Theatre for six years, where he helped to produce over 40 productions a year. He then transitioned into a full-time Graduate Student at BU, where he earned his MFA in Directing in 2016. He has spent the last decade teaching himself how to design and program websites, specifically in WordPress, as well as work as a freelance graphic designer, primarily for the School of Theatre where he designed & produced 50+ production posters. He is a creative problem solver, group leader, highly adaptable, strong communicator, and loves to work in fast-paced environments. A short film. When Travis Maurer walks away from a twelve-story fall without a scratch, he begins a journey that has him rethinking everything he once believed about life… and death. THE JBN TEAM INTERVIEW WITH PATRICK FRANKLIN, PATRICK SHEA AND SAM KRUEGER. Video/Edit: James Vallesteros (@jamesvallesteros). Audio: Edward Chung. HollyShorts Film Festival is an organization devoted to showcasing the best and brightest short films from around the globe, advancing the careers of filmmakers through screenings, networking events, and various panel and forums. The Oscar Qualifying HollyShorts Film Festival showcases the top short films produced 40- minutes or less. Categories include Short Animation, Short Live Action, Short Documentary, Music Video, Webisode, Commercials, TV, and Digital Microbudget. HollyShorts takes place August 9-18, 2018 at the TCL Chinese Theater, Harmony Gold Theater and other locations in Hollywood. Nearly 400 short films will compete for the festival’s top prizes. Last year HollyShorts finalists included 3 out of the 5 Live Action Oscar nominees and the winning short Silent Child from Rachel Shenton and Chris Overton. This year, HollyShorts received an all-time record 5,000 submissions from over 80 countries. The competition will feature Live Action, Animation and Documentary Shorts as well as web series, student shorts, music videos, TV pilots, and VR. 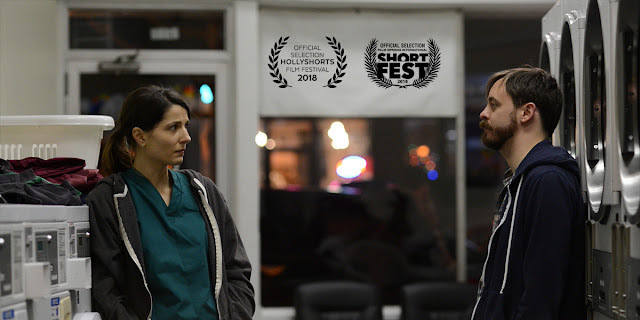 The festival also features a screenplay competition where the winning short gets greenlit, shot and shown at next year’s festival courtesy of Seattle Film Summit.